I agree about Death Cloud. Who is this hipster Sherlock Holmes? Pretty Girls almost made my list, to. There is just something kinda off about it. Makes it look less professional or something. Nice picks--in the fact that I agree they could use some work! Totally seeing Justin Beiber now in that first cover! Great picks, I agree with all, they look really awful! My TTT. 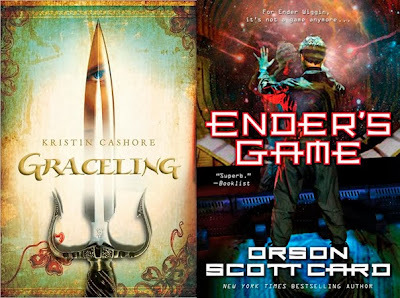 I don't really like any of these covers either, except Graceling. I kind of like that one. Totally agree about Forgotten and Pretty Girl 13. I'm not a fan of those fonts at all.